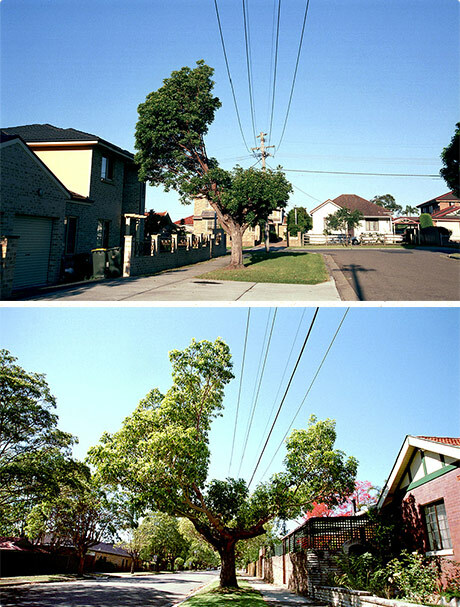 Australian Photographer Garry Trinh has some really interesting shots of trees that have been sculptured around telephone lines. Also check out his set of amateur camper paint jobs. Jan 27	This entry was posted in Photography by cookie. Bookmark the permalink. Gary & I started at OVEN digital in Sydney on the same day in 2000. He’s a super ice guy who has such a good eye for the ‘unseen’. A great photographer. Oh and he’s obsessed by Tori Amos. Hehe. Wow! Those are cools trees!